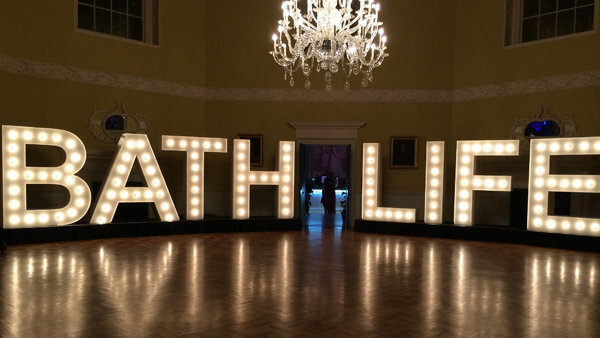 The University a special achievement accolade at the Bath Life Awards, where people gathered to celebrate the top businesses and organisations in the city. In a surprise turn at the end of the night, Bath Life announced a ‘special achievement award’ which was given to the University for our contribution to Bath and the local community. Held at the Assembly Rooms, organisations battled it out in 20 awards categories from Arts to Leisure and Tourism. The winners were chosen by a panel of independent and impartial judges. The University of Bath proudly sponsored the hotly-contested Education category, as part of our community engagement activities during our 50th anniversary year. King Edward’s School beat off competition from five other shortlisted entries. Accepting the accolade on behalf of the University, Professor Bernie Morley, Deputy Vice-Chancellor and Provost thanked Bath Life and extended an invitation to all present to join our free community festival on 6 May.